Take a quick look at your driver’s license. Does it have a star in the upper right corner? The TSA is preparing to take a page out of Dr. Seuss’s The Sneetches and allow only those with starred licenses to fly within the United States. 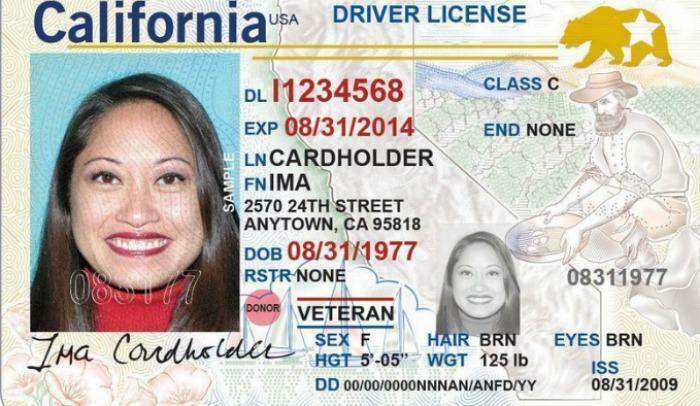 Newfangled driver’s licenses with stars are REAL ID compliant, meaning that they are more secure than what were previously issued. The new rules were announced back in 2005, when Congress passed the REAL ID Act on the recommendation of the 9/11 Commission. The law is intended to create a national standard and make sure every state has a more secure driver’s license. What does this mean for travelers? Beginning October 1, 2020, travelers who present a driver’s license that is not REAL ID compliant will not be permitted to fly. They’ll have to bring another form of acceptable ID to the airport instead or be turned away. The list of acceptable IDs includes a passport; a military ID; a border ID card; a trusted traveler card, such as Global Entry; a permanent resident card; and other documents. The good news: If your license is currently star-less, you’ve got about 18 months to get an updated license. Proof of Social Security Number or Social Security Number ineligibility. If you have a valid NY license, permit or ID card, you must bring your original social security card or W-2 with full SSN. If you do not have a New York State driver license or identification card, you must bring your Social Security Card or a letter from the Social Security Administration proving your ineligibility to have a social security number. If you lost your Social Security Card, you must get a duplicate before you come to the DMV. The Social Security Administration website has more information on obtaining a duplicate card. Oh, and comb your hair; the REAL ID application process also requires the DMV to take a new photo. In the beloved Dr. Seuss story, “Those stars weren’t so big. They were really so small. You might think such a thing wouldn’t matter at all.” But for travelers, those small stars are about to matter an awful lot. Very soon, we’ll start seeing new signs at airports nationwide to remind us that REAL ID-compliant licenses will be mandatory for air travel beginning on October 1, 2020. Take the hint and don’t leave getting yours until the last minute.